Running a business is a time-consuming endeavor—but you’ll be surprised at how many hours you can preserve every week if you invest in time-saving, inexpensive subscription services to lighten your load. Long gone are the days of Excel spreadsheets, manually deleting unwanted emails one-by-one and sending paper contracts via snail mail if you take advantage of the best online subscription services. Although some of these services will cost you a small recurring monthly or annual fee, the best ones will help you free up hours of your life (in and outside of the office) every week. One of the joys of running your own business is working the hours that suit you best. But if you tend to gravitate to late night or early morning hours, you may find that you’re saving a lot of emails in your “draft” folder so you can send them during normal business hours—and then forgetting about them. 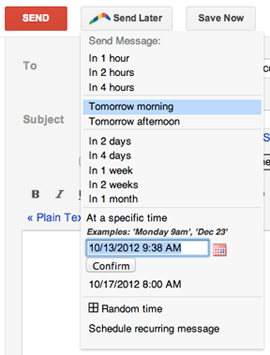 Save yourself the clutter and use Boomerang for Gmail or Outlook to send your emails at a future time you set. When you’re sending time-sensitive emails like invoices, getting them out at the exact time you want can be mission-critical. Boomerang starts at $4.99 per month for the personal plan and comes in a premium version that offers features like the ability to “expire” messages at a certain interval. It’s easy to make accounting mistakes if you don’t use online accounting software. FreshBooks, designed with creative professionals and other non-financial types in mind, makes it easy to keep the records you need. Even a novice can use FreshBooks to do things like determining the average days it takes a particular client to pay or come up with an instant P&L Statement. FreshBooks Lite, which covers you for up to 15 active clients, costs $15 a month, while the most robust premium plan is $50 per month. If your business has grown to the point that you need to record payroll, a very robust accounting software like QuickBooks may be the best fit for you. There are many time-saving apps you can connect to QuickBooks to do things like record your auto mileage, saving you considerable time over the course of a year. An entry-level plan for independent contractors starts at $5 a month. 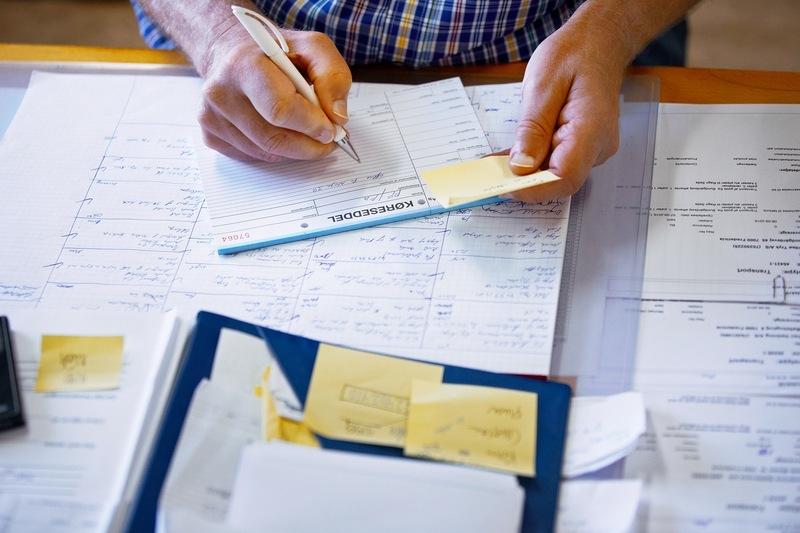 For small businesses, plans begin at $10 per month. Need a convenient way for you and your clients to sign contracts? 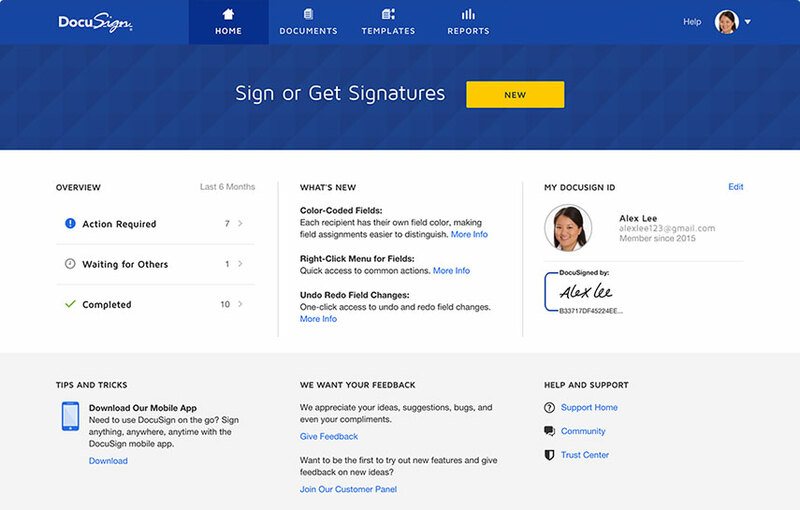 A monthly subscription to Docusign will enable you to send documents for electronic signature. The basic plan, starting at $10 per month, will allow you to send up to five documents per month. Inundated by so much email that you can’t find the important messages in your inbox? A subscription to Mailstrom could be a great time saver. It makes mass-deleting and mass-filing emails much easier than it normally is using the features that come with your email service. The basic plan—covering up to three inboxes with up to 100,000 emails, costs $4.95 per month or $49.95 per year. Use it in conjunction with Unroll.me, a free service that helps you unsubscribe from email lists in a daily swoop, and you’ll be that much further ahead. If you’ve been thinking of hiring an administrative assistant to schedule your meetings, think again. This handy app allows you to mark the hours you are available for appointments on a public calendar you can share with business contacts, via an emailable link, so they can select a time that is convenient for them—without endless emailing back and forth. 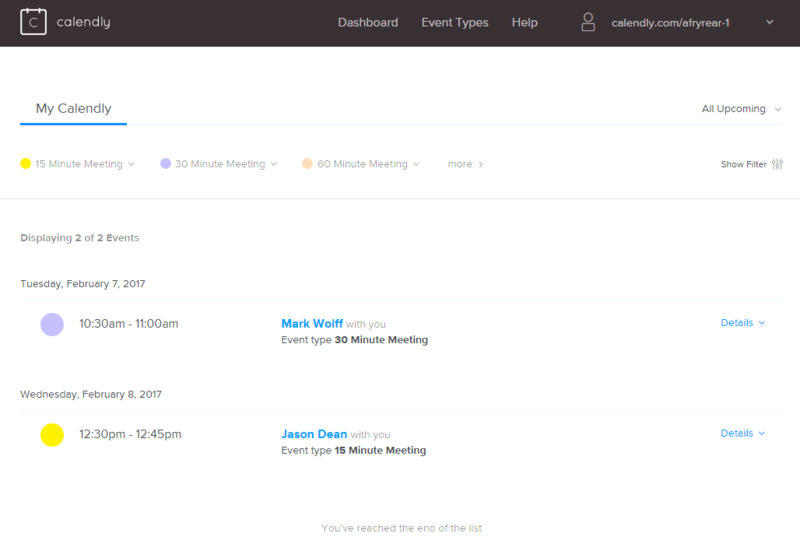 If you book a lot of meetings, the app can easily save you two or three hours a week, not to mention a lot of email clutter. The basic plan is free, but if you’re looking for customizable reporting or integrations, you’ll most likely want to level up to the Premium plan which starts at $8 per month. Social can be a great way to build brand awareness and connect with your target audience. But it is also super easy to get sucked into the trap of spending all day on sites like Twitter and Facebook. Before you know, it your day is shot. 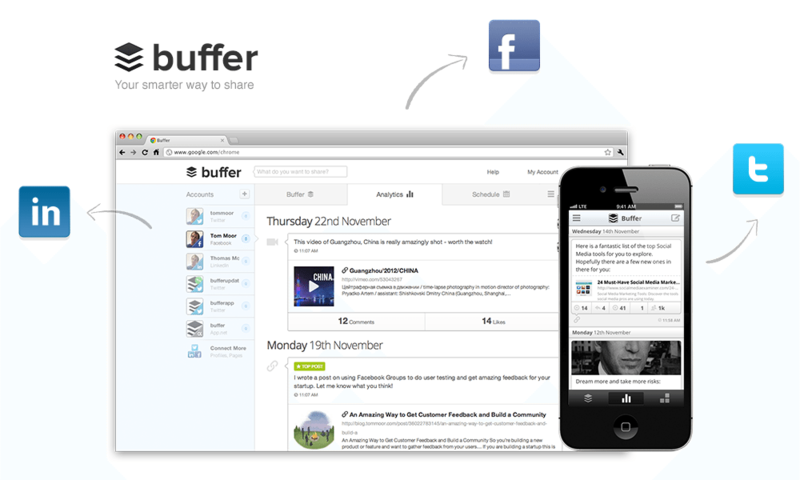 Using social tools like Buffer will not only put hours back in your day, but also help you pull in relevant content, automate your future posts, and manage your social media calendar so it doesn’t get out of control. It also gives you great analytics to show you what posts are working best (driving traffic and impressions) and which topics you need to stay away from. You can get started right away with a free account, and their customer support is stellar. If you decide to upgrade to their “Awesome Package,” you’ll get 10 social accounts and up to 100 posts per profile for just $10 per month. To avoid paying for services you don’t use, be sure to do a review every six months or every year to see which ones are paying for themselves in time saved or convenience and drop the rest. Even if you opt for just one or two of these subscription services, you’ll be surprised at how much your productivity soars when you’re not burdened with menial tasks.